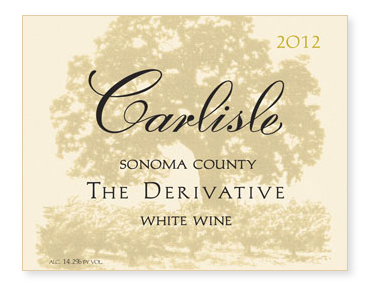 Although just our third release, The Derivative has quickly become one of my favorite wines of our portfolio. It’s a wine that I enjoy year round and it seems to work well with a wide variety of dishes, from fish to chicken to pork. We continue to decrease the new oak in this wine. The Muscadelle was fermented in all stainless steel. The Palomino was fermented in 75% stainless steel and 25% new oak. The Semillon was fermented in all oak but only 22% new. Malolactic fermentation was prevented to preserve acidity and freshness.